Today I am welcoming fellow podcaster and librarian extraordinaire Sarah Threlkeld to the show! We chat about her podcast, Happy Reading, Little House in the Big Woods, what middle grade books we’ve been reading lately, and geek out a little bit on library circulation stats. How did the Happy Reading Podcast get started? What are your plans for the podcast? Before you read the book, what was your impression of the Little House Series? Okay, so – what did you think? How do we handle books like this (problematic classics) in classroom? I saw on Twitter recently that you were geeking out over your end of the year circulation stats! What info did you discover? 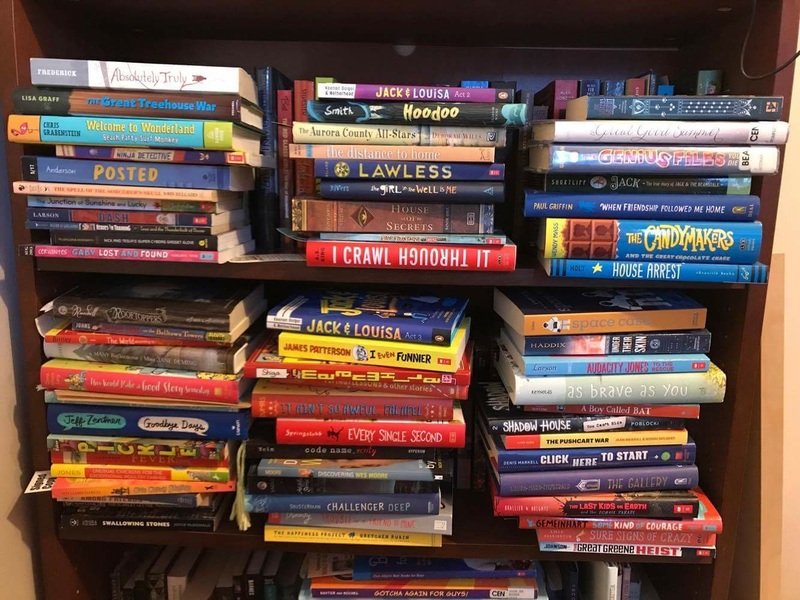 As a librarian, what were some activities or projects or ways to connect kids to books that worked well this past year? I heard you are starting a new full-time librarian job this year – what grade levels will you be working with? What are some things you are excited about doing differently for the upcoming school year? What else have you been reading lately that you’ve liked? Alright – that wraps up our show this week. If you have a question or an idea about a topic we should cover, I would love to hear from you. You can email me at booksbetween@gmail.com or message me on Twitter/Instagram at the handle @Books_Between. Thanks again and see you in two weeks! Bye!